Single-breasted four-pocket smock made of DPM camouflage printed fabric. The smock features a full-length front zipper, knitted cuffs, and has a drop-down tail fitted to the outside back - which, when worn for parachuting, is drawn up between the wearer's legs and fastened by metal pop-studs located in pairs of three to the inside front skirt. To the left upper sleeve is a rectangular-shaped pen and pencil pocket, closed by a flap and button. 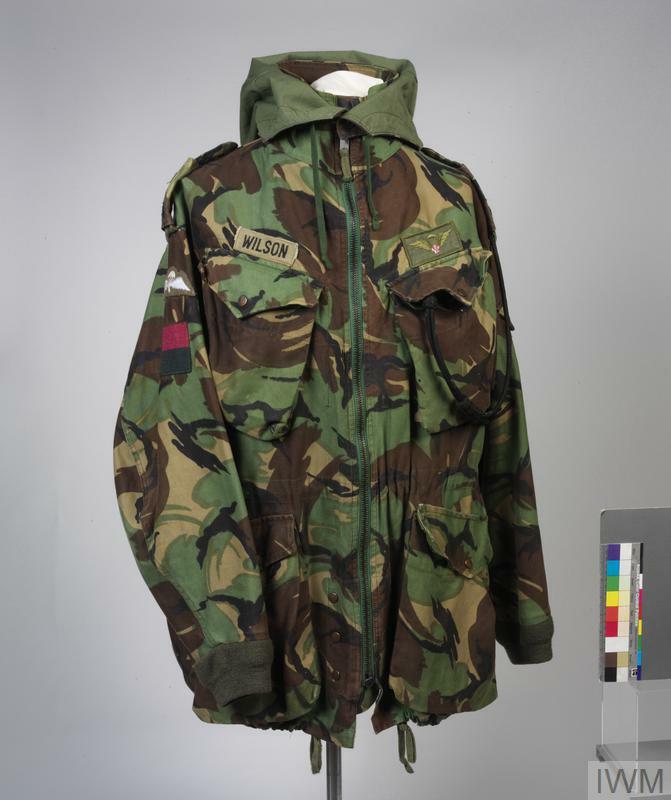 The 1978 Pattern parachutist's smock replaced the last pattern of the distinctive Denison smock, much beloved of British Airborne Forces. 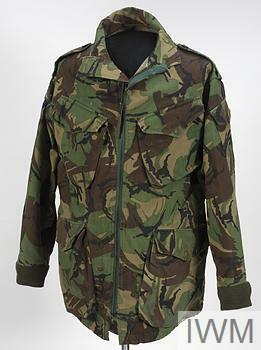 Made of DPM printed material, the 1978 Pattern was semi-lined and therefore lightweight but not entirely weatherproof. Nonetheless the smock was comfortable and echoed many of the features of the previous pattern parachuting garments, including loose cut, large bellows pockets, a full length zipper and knitted cuffs.